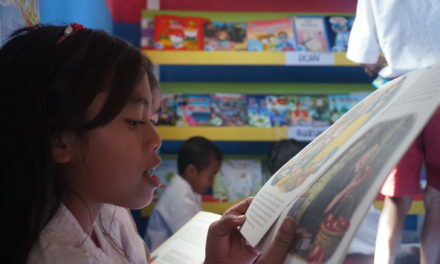 On August 28 2018, JNE helped Taman Bacaan Pelangi deliver books and book level posters from Jakarta to NTT. 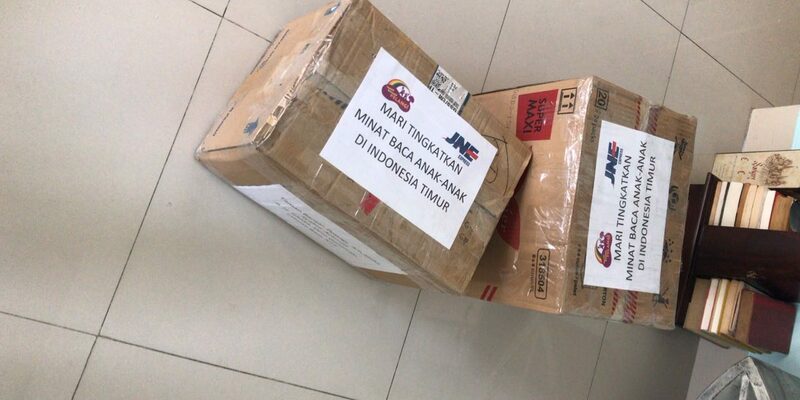 The books were meant for Ende while the posters went to Alor. The books were augmented reality books from HeyBlo, which can be enjoyed by anyone with a smartphone. 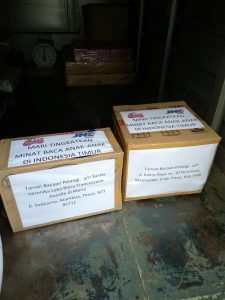 The books and posters, packaged by TBP staff in Jakarta, were picked up by JNE and promptly delivered to Alor (yes, even the books), where TBP staff Monica Harahap received the books in excellent condition. 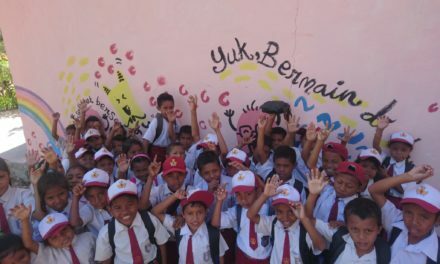 We are sure that the 200 students of SD GMIT Pitungbang in Alor will use both posters and books as best as possible.